I did it! 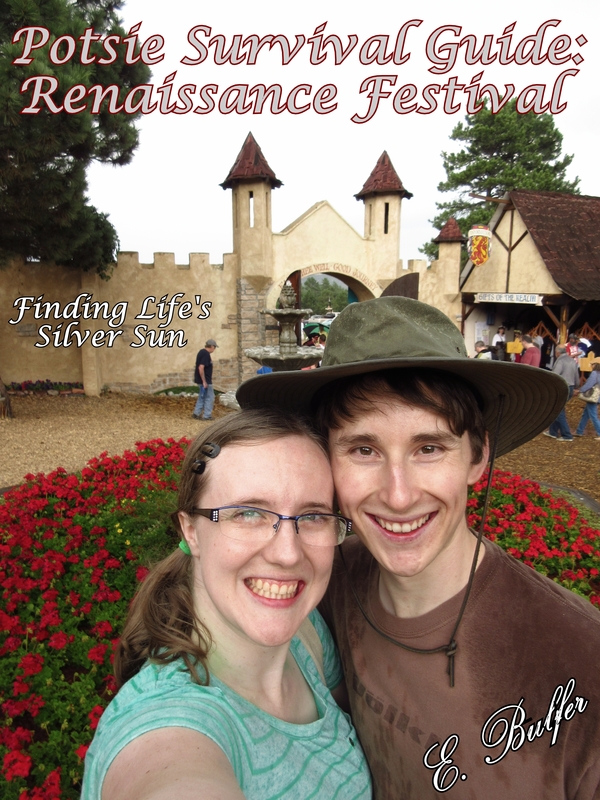 I managed to survive the Colorado Renaissance Festival this year! I wasn’t diagnosed with POTS until fairly recently, so I’m still discovering what I can and can’t do, and symptoms are still appearing. 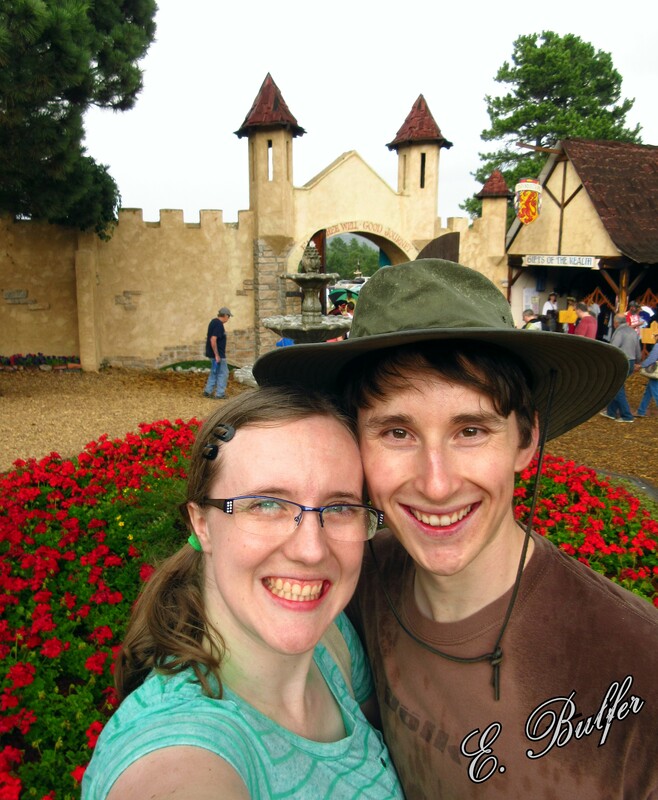 However, I have only missed one RenFest the entire time I have been in Colorado (the summer of my wedding), so I wasn’t going to miss it this year!!! How did I do it? Well, let me tell you! 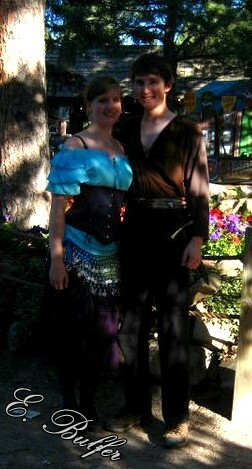 I have a costume that I normally wear to RenFest, but it includes a real corset. I didn’t want to test my luck though, so I decided to just go for functional comfort this year. Anyway, I didn’t wear my costume, and I obviously didn’t go naked… so what did I wear? Well, this took a lot of thought. RenFest has a permanent location, with permanent structures. It is, however, designed to look authentic. It’s built on the side of a hill, meaning getting from the jousting ring to the pirate ship is uphill the entire time. It’s also typically quite warm, and there aren’t enough trees and benches for all the people there to rest in. After looking at the weather, it did say that it was supposed to get up to 86F… so the sun would likely be about 96F just after noon. We always try to get there as close to open as we possibly can, and it opens at 10am. Temperature, amount of walking, difficulty of walking, ease of locating resting places, ease of access to bathrooms (they’re crowded even though they’re everywhere) all considered. Now I can figure out my clothing. Well, I know there is a ton of walking on dirt paths. No flip flops. Dirt paths and flip flops don’t mix. So I need full coverage shoes, so none of my slide on shoes or flats. So Converse or tennis shoes? Well, Converse are extremely comfortable for me, and snug so they might work like compression socks. However, they’re also flat and don’t have much padding, plus I don’t want to get any of the colored ones dirty. So no Converse. Tennis shoes then, but which ones? Well, the black suede-ish ones are out, as well as the black zippered ones that are pretty much 100% mesh. So, down to my two white pairs, both are very comfortable. The Dr Scholl’s ones are clean and haven’t been worn anywhere super dirty so the inside is still clean too, but the white and purple ones are completely muddy (don’t actually remember why) and they STILL have sand stuck under the insoles from the Carlsbad Caverns trip we took in 2010. They’re comfy, with lots of heel cushion (perfect for my semi-chronic heel pain). I chose to wear some smooth (almost seamless) socks that wick moisture away very well and greatly reduce friction. I did not wear my compression socks because I don’t have cute ones and I didn’t want to wear the black knee highs with shorts. First, you’ll need a bag of some sort to keep things in. I recommend a large canvas bag instead of a small purse so that you can put anything you purchase in it instead of needing to hold it. Plus, it’ll come in handy with my other suggestions. I suggest a canvas tote instead of a backpack because a backpack will really heat you up because it covers your entire back. Now, let’s fill the bag (yes, I pretty much fill mine). 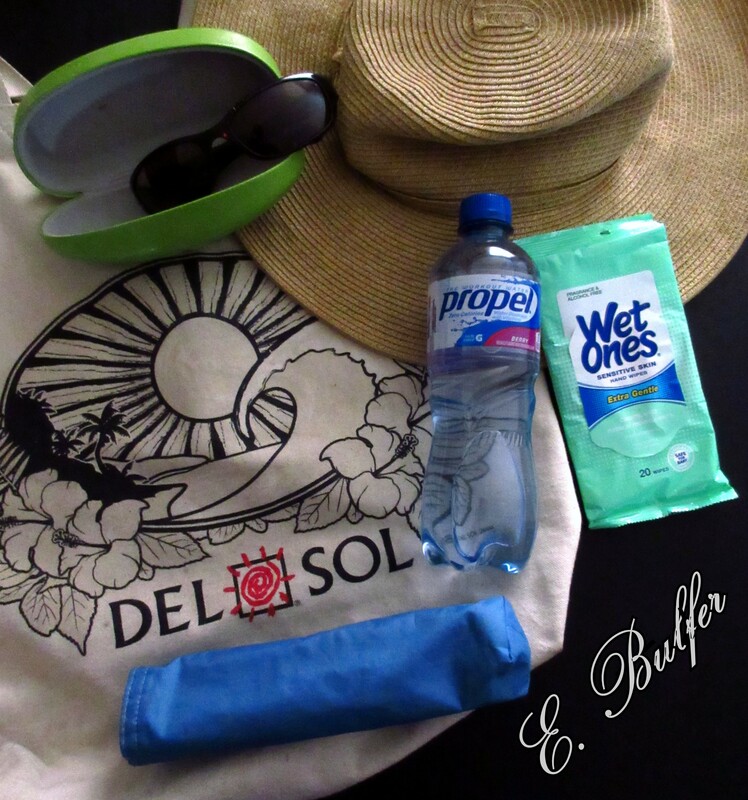 The first things into the bag are my sunhat (actually, it just gets transported to the faire that way, I wore it almost all day), sunglasses (also wore all day) with the case so I can switch to my regular glasses if I need to, a factory sealed bottle of Propel for electrolyte replacement if necessary, an umbrella (just in case), some wet wipes to clean hands prior to eating, and two factory sealed one liter bottles of water (not pictured). 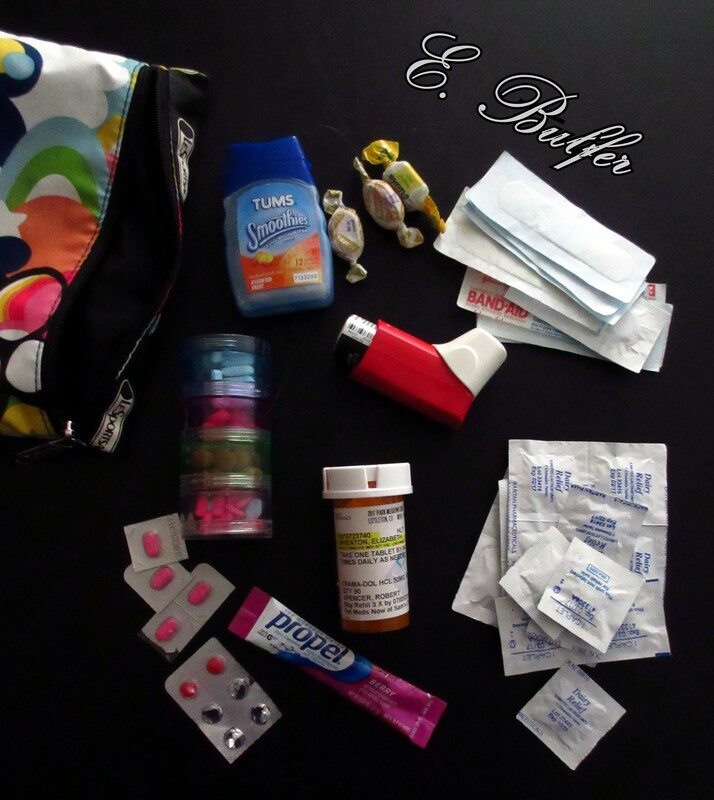 Then, a bunch of stuff goes in from my purse. 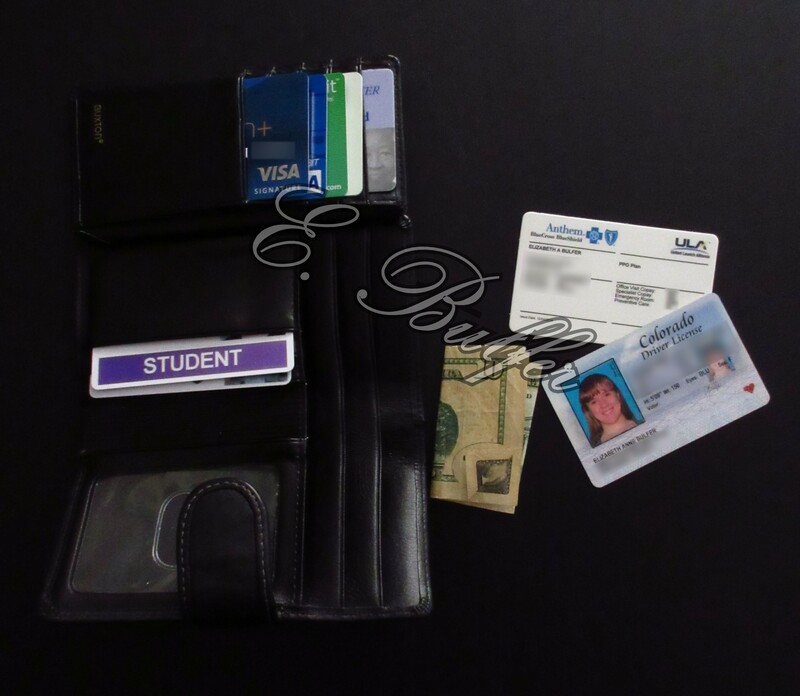 First, I pull the relevant material out of my large and heavy wallet; just my license, health insurance card, and some cash. I don’t have a wallet sized copy of my Rx list, which I should probably get… but that would have been included if I had it! My camera case has a little zippered pocket on the front, which is just the right size for cards and such. I put the things from my wallet into my camera case. The reason I didn’t have my own credit/debit cards is because Dan was with me, so we had his, and he had the majority of the cash too. Don’t forget the sunscreen! I also like to have hand sanitizer and lotion so that I don’t need to worry if there isn’t soap. 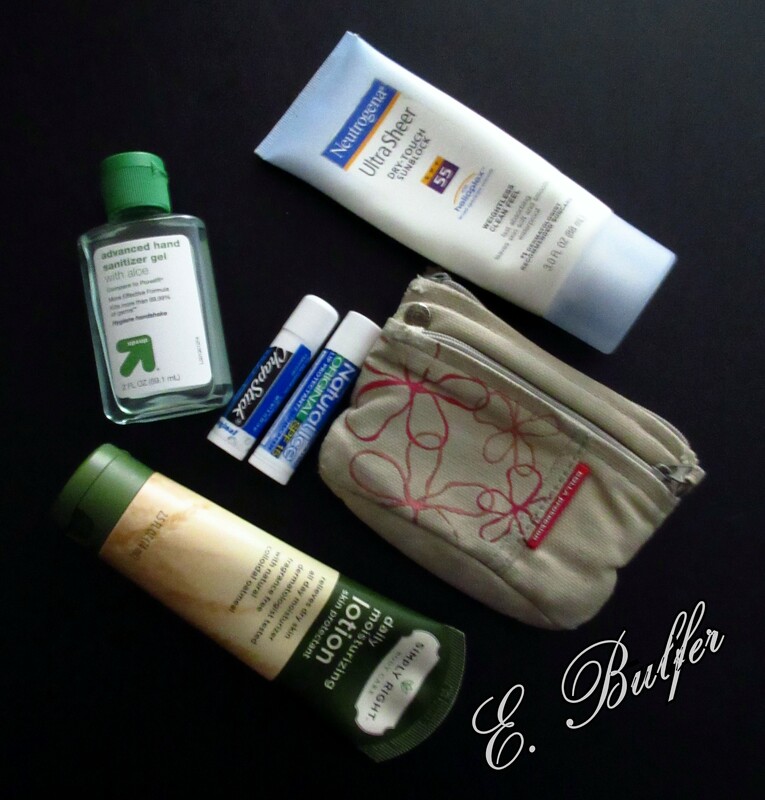 And of course, make sure you have your medical “equipment” with you (I call everything I always have to have on me equipment hehe). 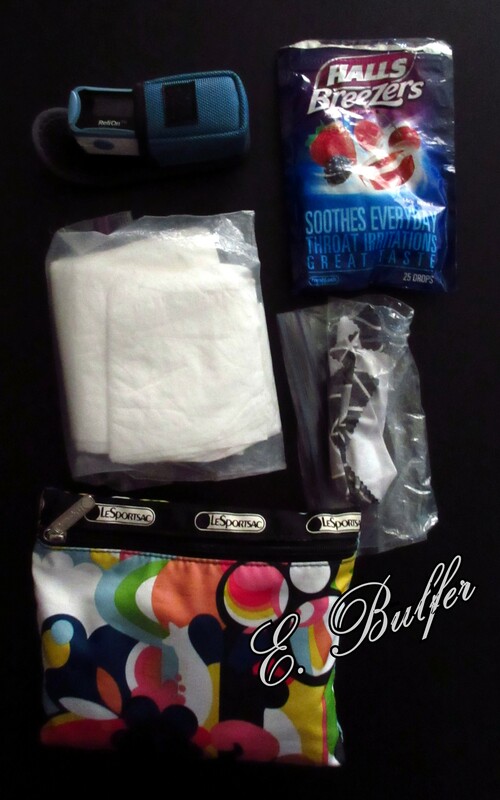 I had my pulse ox with me, just in case, some pectin throat soothers so I can take them as often as needed for dust aggravated throat issues, Puffs plus lotion, glasses cleaning cloth (I hate having smudges on my glasses), and medical bag. My medical bag contains Tums, some more cough drops, Band-Aids, albuterol inhaler, pills (Excedrin Extra Strength, Tylenol, ibuprofen, Benadryl, Aleve), Trama-Dol, tons of lactase, extra Benadryl and some Sudafed, and a Propel packet just in case I end up dehydrated. I also had a cooler in the car with a few snack bars, water bottles, and a Gatorade bottle. I didn’t have to use anything from it. Simple rule is that you should take the things with you that you would be in terrible shape if you don’t have them, and that you can’t easily acquire where you are going. I have decided I have to have cute compression socks for summer events like this. Heat is still not my friend. It takes two liters of water and a soda before I need to use the restroom when I’m exerting myself in the heat. It feels better to be over prepared than worrying about what could go wrong. I definitely cannot wear my corset, especially cinched down, until I get compression socks to aid in circulation. Don’t forget to take frequent rests and drink tons of fluid! Elizabeth B. • This entry was posted in Chronic Illness, Dysautonomia, My Health Stuff, Random Life Stuff and tagged chronic conditions, chronic illnesses, chronically ill, Dysautonomia, postural orthostatic tachycardia syndrome, potsie, spoonie. Bookmark the permalink.